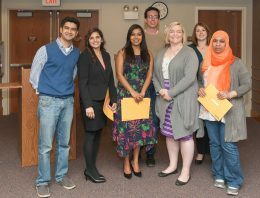 The department held its annual recognition reception on Friday, April 21, on the third floor of Calvin Hall. Family members, guests, donors, and faculty members attended the event to celebrate the success of our scholarship recipients, honorary society members, and graduate teaching assistants. The department awarded $17,450 in scholarship funds to undergraduate students, $3,700 in scholarship funds to graduate students, and $130,000 for graduate assistantships for the 2017-2018 academic year. Graduate assistantships also include over $70,200 in total tuition support. Adam Wilkerson, sophomore in political science, received the Don and Marian Button Political Science Scholarship. Mallory Williams, junior in political science and philosophy, received the Reba L. Cobb Memorial Scholarship for Outstanding Women in Political Science. Miranda Moore, junior in political science and communication studies, received the Louis H. Douglas Scholarship. Jessica Gittemeier, senior in political science, received the Joseph Hajda Student Scholarship. Carly Wright, junior in political science, received the Donald R. Hill Scholarship in Political Science. 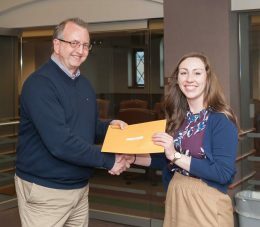 Lizzy McEntire, sophomore in political science and history, received the Orma Linford Scholarship. Joshua Miller, junior in political science, philosophy, economics, and math, received the Edward Allen McCoy, Jr. Memorial Scholarship in Political Science. Seth Dinkel, junior in political science, received the Edward Allen McCoy, Jr. Memorial Scholarship. Faith Tuttle, sophomore in political science and international studies, received the Barbara Meyer Memorial Scholarship. Corinne Stratton, senior in political science and international studies, received the Richter Family “Beyond the Campus” Scholarship. Andrew Le, sophomore in political science and international studies, received the Rieger-McCrery Scholarship. Sam Hughes, junior in political science, received the Dennis K. Tapsak Memorial Scholarship. Jemima Nesthant, senior in political science, received the 2017 Video Contest Winner Award. Riley Nickel, junior in political science, received the Jon David Wagner Scholarship. Morgan Wills, master of public administration student, received the John W. and Lynn L. Carlin Public Administration Scholarship. Wahida Akhtar, master of public administration student, received the Tummala’s Master of Public Administration Fellowship. Jill Haake, master of public administration student, received the Raoul Wallenberg Scholarship in International Relations. 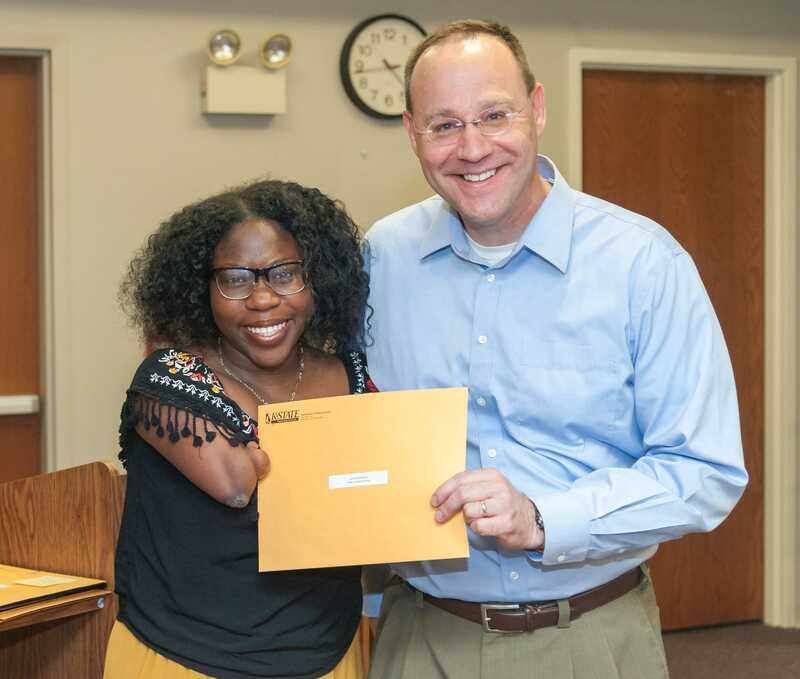 Gabrielle Hull, master of public administration student, received the Nicholas Salgo Political Science Scholarship.